Facebook founder and CEO Mark Zuckerberg keynotes this year’s Mobile World Congress with the theme “Creating What’s Next”. Zuckerberg is joined by renowned technology journalist David Kirkpatrick, author of "The Facebook Effect: The Inside Story of the Company that is Connecting the World". 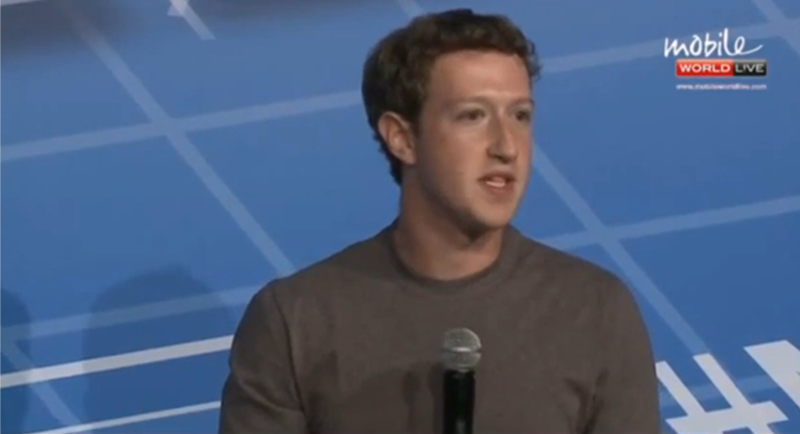 In his speech, Zuckerberg’s shared his vision of a connected world through his pioneering project Internet.org which was launched last year. Zuckerberg showcases Facebook’s partnership with Philippine mobile operator Globe Telecom, the first in the world to provide Free Facebook access to its millions of customers. “Internet.org is a partnership, it’s an industry coalition working together to make the internet and the different parts of it more efficient. For everyone to have access to it for a really affordable price or free is the real goal for basic internet services. In the Philippines, for example, we’ve been working with Globe, and what we’ve seen in the Philippines is the number of people who are using internet and data has doubled. It’s a homerun, it’s going really well. We delivered this product, where basically, in partnership with them [Globe], there’s free basic services with upsells. We’re starting off with Facebook and Messenger, the next version we’re going to do is more basic services,” shared Zuckerberg in his keynote. Internet.org is a global collaboration among technology leaders, nonprofit organizations, local communities and experts who are working together to bring the internet to the vast majority of the world’s population. Sharing tools, resources and best practices, Internet.org partners will explore solutions in three major opportunity areas: affordability, efficiency and business models. The Philippines became a test bed for Zuckerberg’s vision, brought to life through leading telecommunications company Globe Telecom offering free Facebook access to its over 38 million customers, in close partnership with Silicon Valley-based Facebook engineers. “Once again, Globe has proven that it is the mobile data service provider of choice by industry and technology leaders around the world with this breakthrough partnership with Facebook to give our customers uninterrupted, seamless, and worry-free Free Facebook experience. This is collaboration at its peak, which has resulted in the best and most innovative Free Facebook experience yet,” said Peter Bithos, Chief Operating Advisor at Globe Telecom. Available to all Globe Telecom customers using feature phones and smartphones and accessing either through the mobile site of Facebook or the Facebook app, users can post, like, comment, chat, add friends, upload photos, share posts, and more on Facebook without the need for Wi-Fi services. Aside from offering Facebook at zero data charges, the collaboration between the two global companies has also paved the way for Globe to put together innovation that covers key milestones in the customer experience journey such as availability of access on feature phones and smartphones across all Facebook mobile platforms whether via the Facebook app or the m.facebook.com; proactive notification if the customer will incur data charges once a link that leads out of Facebook is clicked; and one-click registration to the data plan of choice to continue browsing without having to leave the site. Recommended data plans consider a subscriber’s available prepaid balance and/or megabytes (MB) balance of existing data plan. Moreover, those customers who don’t have enough prepaid load can “loan” a 10MB data plan for only US$0.23 cents or P10.00 which will be deducted on their succeeding top-up so they can fully explore content outside Facebook, making the experience seamless and worry-free. The Free Facebook service, which was initially offered for three (3) months paved the way for the Philippine telecom company to double its mobile data user base. Mobile browsing and other data revenues also increased to P11.6 billion as of end-2013, up 42% from P8.2 billion in 2012. The offer also formed part of the company’s mobile data strategy to grow the number of users who access the Internet on their mobile phones, as well as provide a seamless customer experience with service innovations that address the fear of mobile internet. Now, more than 1% of Facebook users worldwide are using Free Facebook on Globe. Citing strong demand and customer take-up for one of its biggest promos to date, Globe Telecom is extending its Free Facebook offer until April 30, 2014. This is a good news. With such partnership, expansion of 4G coverage is inevitable. I also wonder how this initiative will shape Filipino culture in the future. Oh well, time will tell. Thanks for this helpful info. That is so nice that he chose to venture out in the Philippines. I didn't know about this information but i'm glad that Mark seen what's Filipino talents have. Well, if that's what they wanted for the Philippines and apply the technology for Globe, the better. Great article! I read an article that Filipino's are big into social media so I'm not surprised with the big success and the Globe Telecom to extend its free Facebook offer.It's a business and a huge success. oh wow, if Globe would offer zero data charges for FB, I should ask my father to really install and use FB in his phone, haha! Great news to all Globe subscribers. Filipino culture is defined with how we connect with each other and Facebook became an important part of that. I have been a Globe subscriber since I got my very first cellphone. I have never been disappointed with their service. Service collaboration is a good thing because the end consumers are always the ones who benefit the most. I am a globe subscriber and happy to be one... my son is enjoying the free facebook on his smartphone!